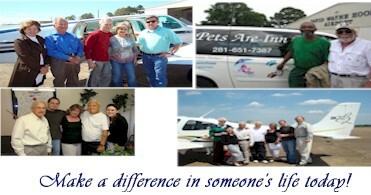 Pilots for Patients is a chartered 501(c)(3) nonprofit organization. Pilots for Patients provides free air transportation to patients who are medically stable and ambulatory to their treatments at various medical facilities including Texas Medical Center, St. Jude’s, and MD. Anderson. We want to ease the burden on our patients allowing them to focus on getting better. Pilots participating in the program donate their time, fuel and airplanes for the flight and are not reimbursed for these expenses. Make a differance in someone's life today!